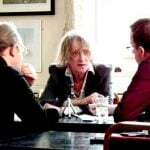 Tracy Monger is the founder and lead paranormal investigator for Norwich Paranormal Experience Group, based in Norwich, Norfolk. 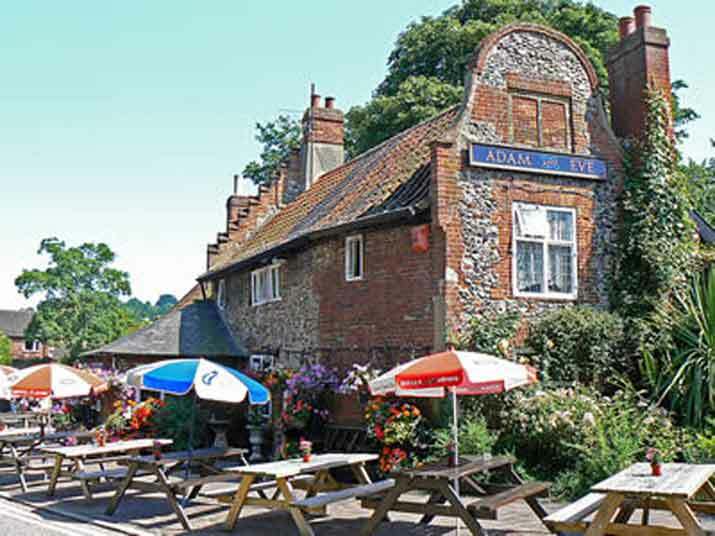 Located on Bishopbridge, the Adam and Eve is dated at 1249, making it the oldest pub in Norwich. The monks from the great hospital used it as a brew house. 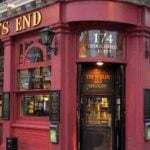 The pub has been known for its ghosts, since 1549. The main ghost, which is nicknamed Sam, is thought to be Lord Sheffield. He died during Robert Ketts rebellion. He surrendered but Ketts men were not aware of his ritual of surrender and he was hit with a cleaver. He was taken to the Adam and Eve, where he died. Reports of hot and cold spots, footsteps heard the bell in the pub would ring; tankards on hooks would dance, being tapped on the shoulder and the feeling of someone running their fingers through their hair. Ashtrays falling from the bar, things would move in the cellar. Elm Hill is located near to St Andrews and Blackfriars Hall. 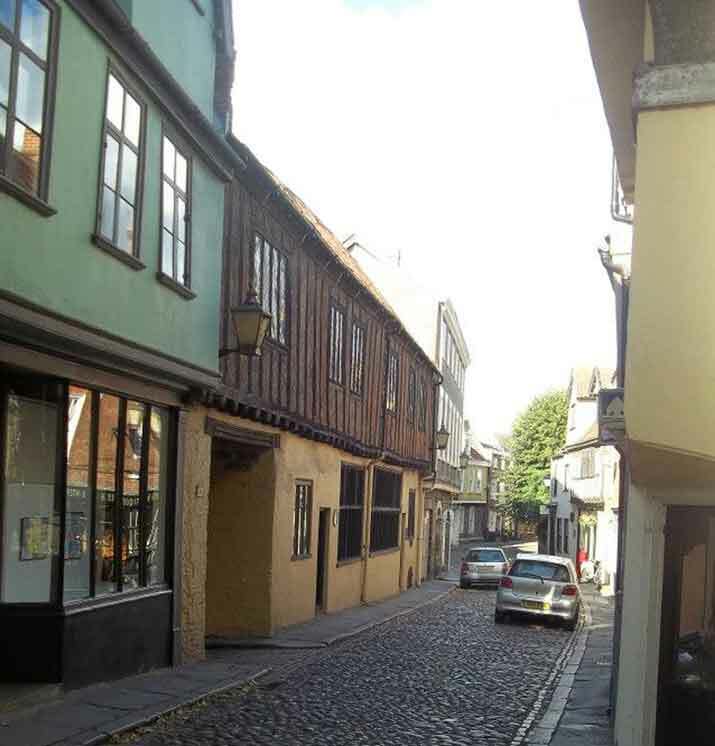 It is a cobbled street from around 1200AD. Most properties are dated after 1507 due to a fire that spread through Norwich destroying over 700 houses. Sixteen Mayors or Sheriffs are recorded to have resided on Elm Hill. Father Ignatius founded a monastery on Elm hill in the 1800s. He cursed anyone that opposed him with eternal damnation. The locals forced him out of the city. His ghost is seen walking along the hill, with his bible in had cursing passersby. 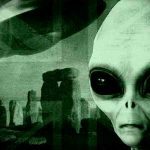 Unexplainable footsteps have been heard at night alone with strange noises. The Strangers Club was built by Mayor Augustine Steward during the 1400s. During the fire of Norwich in 1507, a family was trapped upstairs. The children and the mother were saved by the father as he lowered them to the street, but he died. Footsteps are heard upstairs regularly. Located on Riverside originate from a chalk pit was dug for the cathedral foundations. 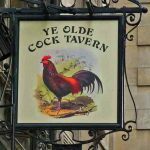 The pub was built between 1620 and 1670. It was the site of execution for heretics and other offenders during the 15th and 16th Centuries. The pub’s cellar was a holding cell to hold prisoners (recently discovered) before they were burnt at the stake. The bodies were put into the pit, which is located in the garden. There are two tunnels in the cellar, one leading to cow tower and the other to the river. The prisoners were made to walk the streets lined with people across Bishopgate Bridge to their death, which is opposite Lollards Pit Pub. Screams have been heard in the pub and are thought to be of the prisoners and witches have been seen crossing the bridge. 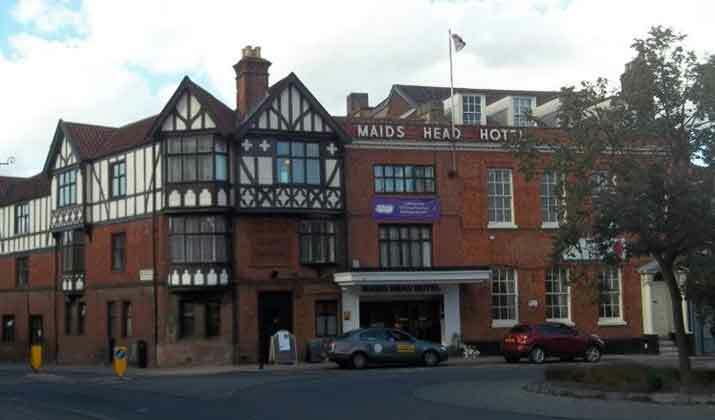 The Maids Head is a 13th Century building combining at least six previous buildings. 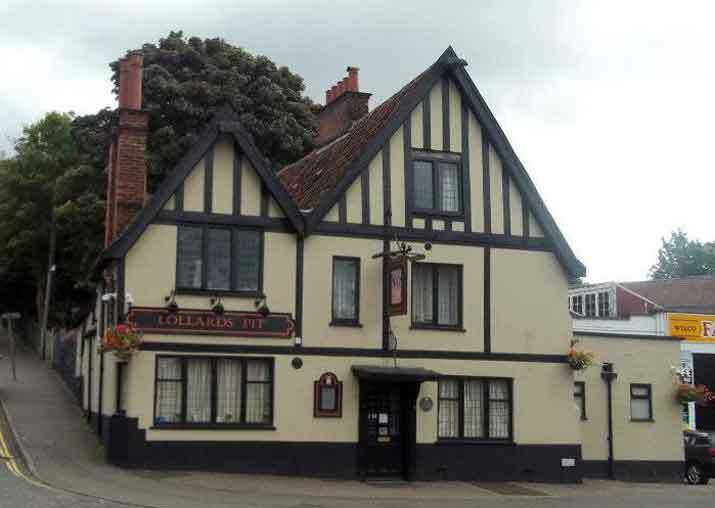 The hotel is located in the centre of Norwich, at Tombland near the cathedral. There are suggestions that the Black Prince (1359), Cardinal Wolsey and Catherine of Aragon (1520) visited the hotel. During 1587, it is thought that Queen Elizabeth I slept at the hotel. In one of the bar areas the Jacobean Oak paneling is still seen. 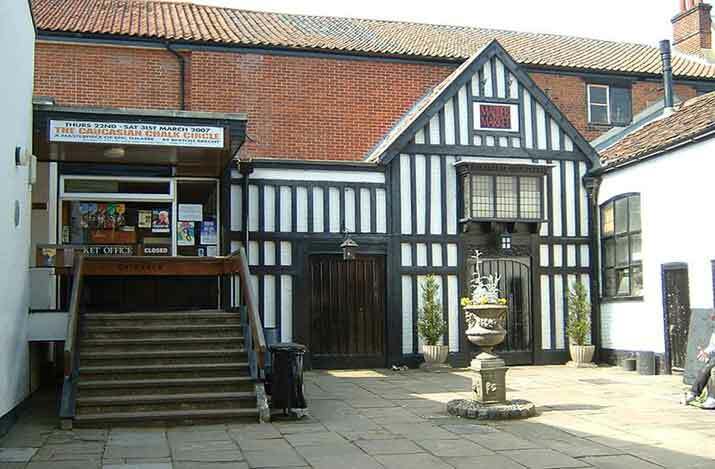 The Maids Head was the first Masonic lodge in Norwich. The ghost of a former maid has been seen moving around the hotel, dressed in grey accomplices with a smell of musty lavender. A ghost of an elderly man thought to be a former Mayor has been seen. He is shaking his head while walking around the courtyard. Located in St Johns Alley. the theatre was originally a Roman Catholic Chapel, built in 1794. The theatre was opened in September 1921. The theatre is on the site of a medieval market where the scarlet dye called madder was sold for wool trading. The theatre has a monk ghost. During a rehearsal, a director saw a figure of a monk walk across the stage from a confession box. The box was check and no one was there. The Monk has been accused of hiding wigs, moving costumes, opening and c closing doors and he has been seen in the alleyway beside the theatre. When an actor forgot his line, the monk hugged him and it is thought the monk save a young actress from falling lights. Also check out Norwich Castle here for more ghost tales! Read TRACY MONGERS’s blog here. 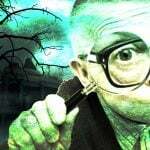 Contact Norwich Paranormal Experience Group at its website here or Facebook here. 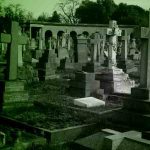 Are you a paranormal business, club or tour company with a Spooky Tale to tell? Contact The Spooky Isles on the form here so we can let everyone know! It was very interesting and informative! Great for my English homework!